SAMVAT 2074 was a bad year for the markets as NIFTY was largely flat yoy. Markets were supported by domestic liquidity due to strong monthly inflows into equity mutual funds. Net inflows into equity MF in last 12 months were to the tune of Rs.1,20,000 cr. FIIs in contrast have been net sellers to the tune of Rs.20,000 cr and they have been selling heavily over the last six months. The total AUM of the mutual fund industry increased to Rs 22.24 lakh cr in October 2018 as compare with Rs. 21.41 cr in October 2017. Brent hit a four-year high of $86.74 in the first week of October but has cooled down since to below $70. The trade war between USA and China, in addition to increasing oil prices are the primary reasons for the rupee weakening against the dollar. 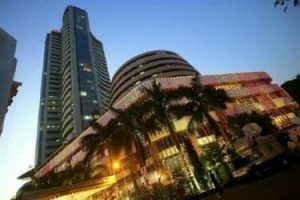 The Indian market may face turbulence over the next 2-3 quarters with stock prices being dictated by unfavorable global macro (Crude, Brexit, Trade war etc), weak domestic macro (USD-INR, fiscal deficit, inflation, economic growth etc), government actions and uncertain politics rather than the underlying fundamentals and fair values of stocks. Brent crude oil on 13th November declined to a seven-month low, under $65/bbl, a 25% drop on the four-year highs the international benchmark hit just a month ago The sharp sell-off, has been exacerbated by a White House decision to grant waivers to US sanctions that allows Iran’s largest importers, including China, India and Japan, to continue buying crude from Iran. US Fed left key rates unchanged in its latest meeting on 7-8th November 2018. The committee noted that the unemployment rate has declined since the September meeting. The Labor Department last week reported that the headline jobless level was at 3.7%, the lowest since December 1969. FOMC reiterated its belief that economic activity has been rising at a strong rate. GDP growth this year has averaged 3.3% for the first three quarters and is expected to come in around 3%for the final quarter. FIIs have been net sellers over the last three months, Rs.2,029 cr in August, Rs.9,623 cr in September followed by Rs.27,623 cr in October. There has been a reversal in trend in November with FIIs turning net buyers of Rs.4,645 cr till 12th November 2018. If INR stabilizes at current levels and given the sharp fall in crude & stock prices we could see some positive flows over the next month. The total AUM of the mutual fund industry increased by Rs.35,500 cr in October to touch Rs.22.24 lakh cr. Equity funds saw inflows of Rs.12,622 cr, the highest this financial year. Investors continued to use SIP to invest in equity funds with flows recording an all-time high of Rs.7,985 cr a rise of Rs.258 cr as compared to Septembers collection of Rs.7,727 cr. The income fund category saw outflows of Rs.37,642 cr while liquid funds saw inflows of Rs.55,300 cr. Thus only a third of the Rs 1.5 lakh cr outflows in liquid funds in September have come back. Corporate investors continued to be wary of debt mutual funds in the wake of the ongoing IL&FS crisis and the contagion effect it could have. They continue to closely monitor the developments in the debt markets. WPI inflation increased to a four month high of 5.28% in October from 5.13% in September driven by a rise in fuel prices. Inflation in ‘fuel and power’ basket in October spiked to 18.44% from 16.65% in September. Prices of manufactured products, which account for close to two-thirds of the index, grew 4.49% from 4.22% in September. Food articles deflation increased to 1.49% in October from 0.21% in the previous month. CPI inflation stood at a 13-month low of 3.31% in October, below the RBI’s medium-term goal of 4%. Consumer inflation in September was at 3.70%. Food deflation stood at 0.86% in October, as against inflation of 0.51% in the previous month. Fuel and light inflation stood at 8.55% in October vs 8.47% in September. Core inflation, which excludes volatile food and fuel prices, remained sticky at 6.1%. The Nikkei India Manufacturing Purchasing Managers’ Index strengthened slightly in October to 53.1, up from 52.2 in September, as sales rose from both domestic as well as foreign clients. The Nikkei Services Purchasing Managers’ Index rose to 52.2 last month from a four-month low of 50.9 in September. This led to the composite index increasing to 53.0 last month from September’s 51.6, with employment rising at its quickest rate in nearly eight-and-a-half years. Index of Industrial production (IIP) grew 4.5% in September compared with the upward revised 4.7% in August. August growth had initially been estimated at 4.3%. For the first six months of the year, IIP grew 5.1% compared with 2.6% in the year-earlier period. The manufacturing segment was up 4.6% while electricity generation rose 8.2%. Capital goods production slowed to 5.8% in September and the growth of consumer non-durables slowed to 6.1% from 10.5% a year ago. There was positive growth in 17 of the 23 industry groups in the manufacturing sector. As per SIAM, passenger vehicle sales grew at a marginal 1.55% at 2,84,224 units in October, entering into the positive territory after three months of decline. The last quarter had seen decline in sales due to high base last year, when sales had shot up post GST implementation, on account of fall in vehicle prices. Two wheeler sales also increased at 17.23% per cent to 20,53,497 units, driven by continued rural demand. Commercial vehicles continued its growth momentum, showing a growth of 24.82% yoy at 87,147 units, fuelled by high infrastructure growth. Indian equity markets have corrected nearly 10% from January 2018 peak, at the Nifty level, whereas mid-cap/small-cap indices are down between 25%-35%. Valuations too have corrected from multi year highs to now broadly trade at close to 3y/5y average. While the short term is shaky and likely to be volatile due to multiple reasons, we continue to strongly believe medium and long term growth remain intact given the corporate earnings cycle and financialisation and equitisation of savings. The question that is confronting an average investor’s mind is whether to buy or not in the current markets. SIP inflows remain strong but FII outflows along with a depreciating rupee have been big negatives over the last month. There has been a sharp correction in some quality stocks which have started looking like compelling BUYs at current levels with a 2-3 year investment horizon but stock selection will be critical. Valuations which were looking stretched till a couple of months back are currently looking quite attractive as there have not been any significant earnings downgrades. One should accumulate good quality companies where there is a long term structural story in place.